Congratulations SB FFA on a Blue Ribbon at the Ft. Worth Stock Show! Congratulations SB FFA on a Blue Ribbon at the Ft. Worth Stock Show! 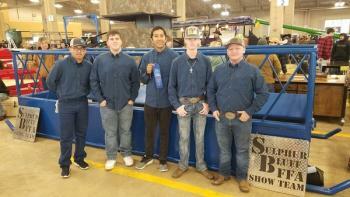 Team members competed this weekend in the Ag Mechanics show in Ft Worth.